Qunatum Mechanix have also released their exclusives list of items available at the show. Included are Rebirth Batman & Catwoman, and Q-Fig Max Wonder Woman. Batman and Catwoman feature their look from Rebirth and work together with matching bases. 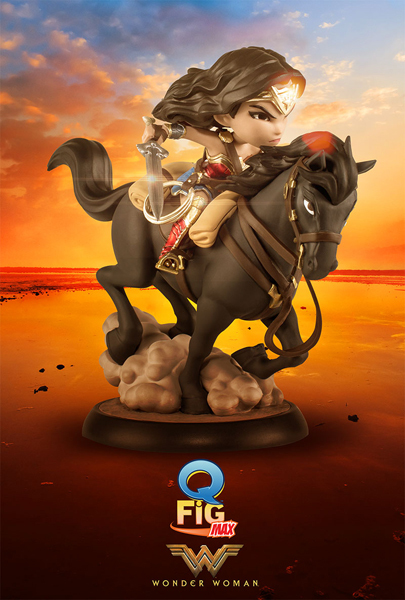 The Wonder Woman is based on the movie and is deluxe with her riding a horse and metallic finish. 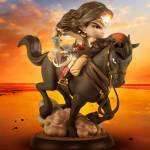 These are set to debut at the show and may not be exclusive specifically to SDCC. Read on to check the pics and details! Quantum Mechanix’s new DC Batman Q-Fig takes flight at the 2017 San Diego Comic-Con! The design of this show debut is based on the DC Rebirth version of the Caped Crusader and features an updated suit, boots and utility belt, plus a billowing cape and stylized cowl. 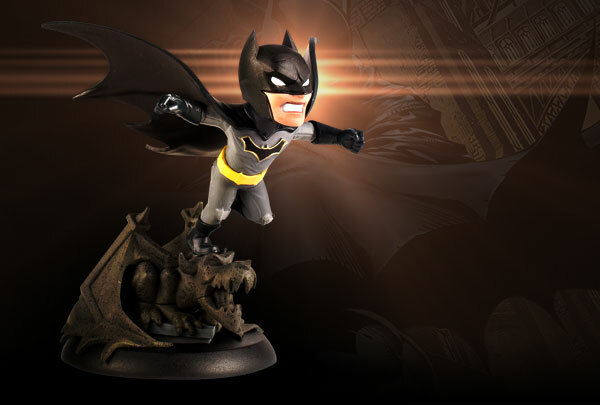 Launching off the head of a toothy gargoyle, this new Q-Fig will surely sell-out fast! Measuring 4.5 inches tall and boasting hand-painted details and flexible materials. 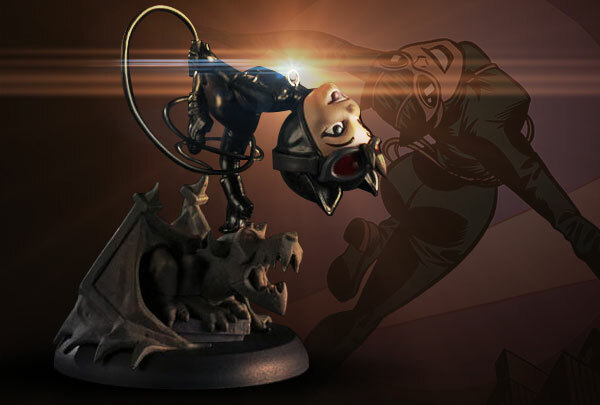 The DC Catwoman Q-Fig is Quantum Mechanix’s response to the landslide of requests it received from fans wanting to add her to their collections. This new Q-Fig is based on the DC Rebirth comic book version and is clad in an updated black catsuit. Swirling her whip high atop a grouchy gargoyle, her high-flying antics are sure to flip out her legion of fans. Measuring 4 inches tall and boasting hand-painted details. The DC Wonder Woman Q-Fig Max from Quantum Mechanix is a fierce incarnation of the powerful Amazonian princess whose mission is to fight corruption and restore peace. Steely eyed and fully armed, Wonder Woman rides her ebony steed clad in her trademark red-and-blue costume and sports her bullet-deflecting bracelets and gleaming tiara. Wielding a sword and golden Lasso of Truth, she is ready for any battle that lies ahead. Measuring 5 inches tall and featuring metallic paint and hand detailing. Really loving that Wonder Woman one!